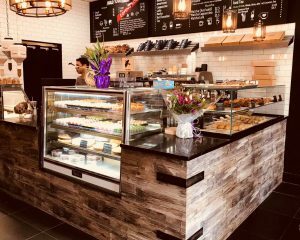 Bread Boutique and Cafe is now open for business in Tenafly, NJ, an eatery with lots of grab and go options. Customers can start their day off by ordering a cup of coffee and pair it with a variety of baked goods. The menu includes seasonal items such as pumpkin and pecan pies and sufganiyot. 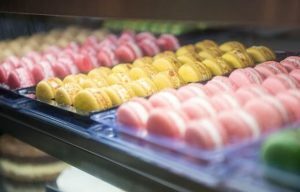 Regular items include tahini cookies, matcha, rugelach, challah, muffins, cheesecake, borekas, macarons, chia pudding and more. The gelato bar includes the flavors halva, lotus biscoff, vanilla, and sorbet. Hours of operation are Monday-Thursday from 6:30am-8pm, Friday 6:30am-3:30pm, and Sunday 7am-9pm. The dairy products in Bread Boutique and Cafe are certified by Rabbi Mordechai Shain of the Lubavitch of Tenafly, and the parve baked goods are certified Rabbi Lesches of the Lubavitch of Monsey.